I AM IN INDIA is this gud to buy this set here ??? Can i shift from windows to android in this phone ??? I'm kind of confused, does this phone has front facing camera? Please let me know ASAP. ajay, 30 Jan 2012Hey guys nice to see ur comments n updates on this phone... I recently bought this phone and ... more1.are you having unlocked mobile? 2.have u did official update or unofficial? 3.you belongs to what region/country ? 4. what the network that you are using ? I recently bought this phone and am facing below couple oof issues... Can anyone please help me out??? 1-Am unable go synch my phone to my PC. Check out the below site for any smart phone Q&A's... All Your android/ Windows/ IOS questions will be answered here...!!! Raz, 21 Jan 2012Hi, Does this phone have wifi hotspot aka internet sharing functionality after the 7.5 update.... moreyes we can do that...but after 7.5 update.... this is inbulid funtion in windows phone 7 ... we dont need any hotspot type softwere... i m using this ph and its asm..
AnonD-22044, 15 Dec 2011This is one of the best mobile i have used after Iphone, Buttery smooth touch flow, superb tou... moreHi, Does this phone have wifi hotspot aka internet sharing functionality after the 7.5 update. Can we connect 5 devices to its hotspot just as we do in android ? Waiting for reply ! First of all thank you so much:-) for giving me such useful informatioin. But i am not going to buy it.. Bcoz as a music lover i always prefer to listen FM, and as u said about video support i always have to convert it, and i dnt wanna b dependent on ma pc always. Ok can it b used like a mass storage device with pc? 1)You need check APN settings under cellular settings (For Vodafone :APN is www, Airtel: airtelgprs.com(I think)) type the above info if u r a Vodafone/airtel user, other other operators I would say please walk into a store to get the settings and they will give you the settings. Over all its a very good fone and plz plz do not compare this with Android.. You can hardly do only 20% or even less that you can do on an Android phone...!!! 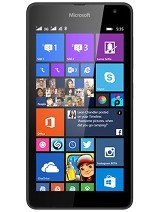 This is'nt a awesome phone but Windows Phone OS is what this phone beautiful!! ;) If you are crazy about some non-sense apps, i would say no to this phone. Since i m not crazy about apps, M in love with Focus:) Videos experience is amazing and much much better than Galaxy S2!! I have compared same Video with two phones and difference was very much visible!! 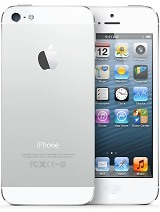 If you have bough this phone any where between 13-14 K, plz dont regret cos its a good deal!! Wait for an year or so and see where this OS is gonna reach!! Ok thanks 4 your information. So could you please answer my questions about bluetooth and music quality and video support? Beaware of Indian users! If you buy this phone then no warranty in India as it is imported. I am not being able to receive Vodafone GPRS settings on my samsung focus? is there proper gprs setting available from indian telecom operator?? And the most important question is about bluetooth, how microsoft can miss such a basic features?? is there any other alternative for transfering files? how is the music quality and what are the video format it cam play? Finally .. freedom from zune !! Follow these steps and u'd enable USB mas storage mode ..u can directly drop in music and media to sync files with ur windows mobile , without zune !!! AnonD-32328, 08 Jan 2012how to send n receive files using bluetooth? i think you cannot send or receive files via bluetooth.. I ecently bought yhis fone from ebay (Rs 13,220 after discount). The phone is really nice and the bright and crisp display wins your heart. But you will have to put up with some minor irritants asscociated with Win 7.5 such as forced use of Zune Software for update and file transfer. MS could have given Windows explorer (like PC) and solved the file transfer issue. But they chose to force ZUNE software upon users (taking a cue from Apple?). The win 7.5 interface is nice but one needs to understand the features of Win OS to make full use of it. Win Marketplace has many free apps now which are easyly available in marketplace. mercifully you don't have to depend only on zune to download and install apps (need wifi or GPRS). Its value for money as no other 4" super amoled phone is available at this price (bear in mind no warranty of any sorts). The warranty version (omnia W) costs appox 18+K in india but with 3.7 inch screen only.